Here's something you don't see every day: Investors are essentially paying for the privilege of lending Germany money. This isn't some "buy German bond" nationalism. It's the latest sign of how scared investors are and how much they want any assets they believe are truly safe. 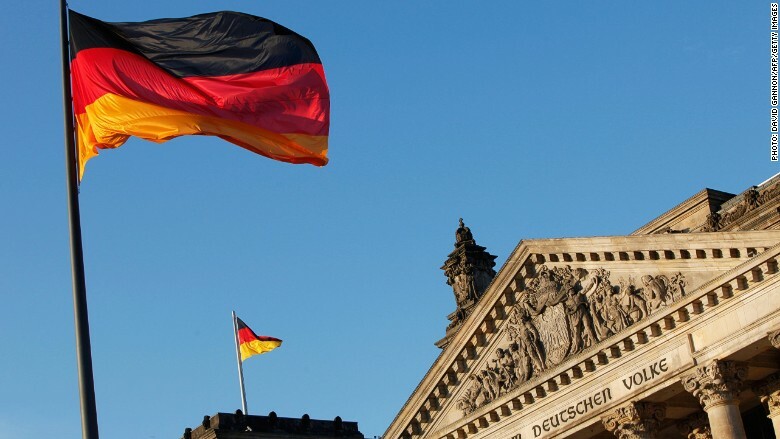 On Wednesday, Germany issued its first 5-year bond ever with a negative yield, which means investors are making a loss by loaning money to the German government. It sold €3.3 billion ($3.7 billion) of debt at a negative yield of 0.08%, according to the country's Finance Agency. If it sounds backwards, that's because it is. Investors appear willing to buy at these rates because of falling inflation in Europe. There are even concerns about deflation, which could trigger bigger problems like a recession. The idea is that these German bonds would lose less value than other assets. Some investment houses have to hold bonds as part of their portfolio mix and might elect to buy negative-rated bonds if they think the market will deteriorate further. What's next: That deterioration is due to upcoming moves by the European Central Bank. The ECB is hoping to fire up the region's ailing economy by launching a massive bond-buying program next month, which will almost certainly drive down European bond yields further. Investors have already been fleeing the euro in search of better returns elsewhere. Moves by other central banks have knocked the bond yields on a slew of countries into negative territory, including Belgium, Denmark, France, Germany, Japan and the Netherlands. This month a small Danish bank said it would charge customers 0.5% interest on their deposits from March. That means for every $100 they deposit, the bank will take 50 cents. FIH Erhvervsbank blamed the move on the central bank, saying it's being charged similar levels after official interest rates were cut into negative territory. This odd phenomenon is showing up in corporate bond markets as well. The yield on Nestle's corporate debt went negative this month. The euro-denominated corporate debt of other super-safe European companies like Royal Dutch Shell (RDSA) and Novartis (NVS) are also flirting with negative territory.